Wipro closed the week on positive note gaining around 0.20%. 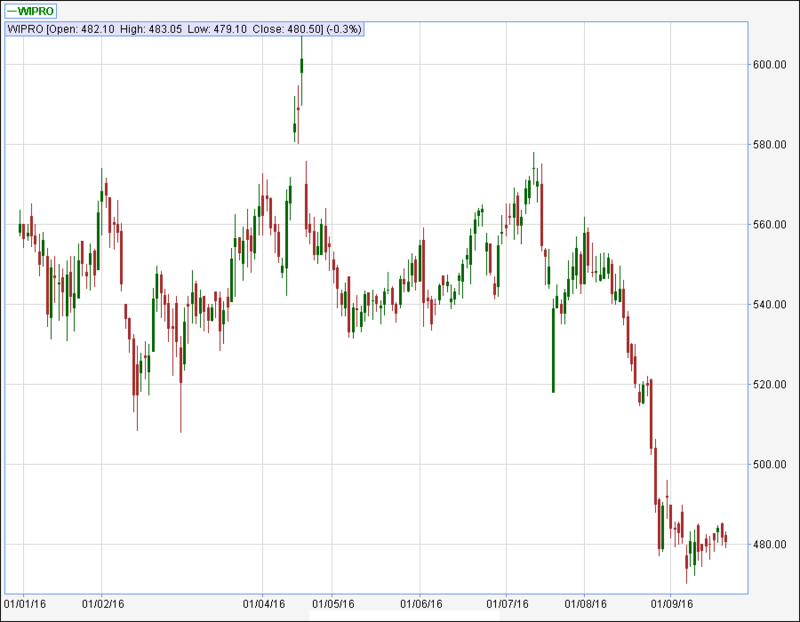 As we have mentioned last week that the stock has seen a major break down on long term charts and the stock can drift to the levels of around 450. Support for the stock lies in the zone of 470 to 475 where the stock has taken support in the month of December – 2013 and May – 2014. During the week the stock manages to hit a low of 476 and close the week around the levels of 480.